The Orange County Bird of Prey Center houses wild birds of prey that the concerned public and Federal, State, and County agencies bring to us. 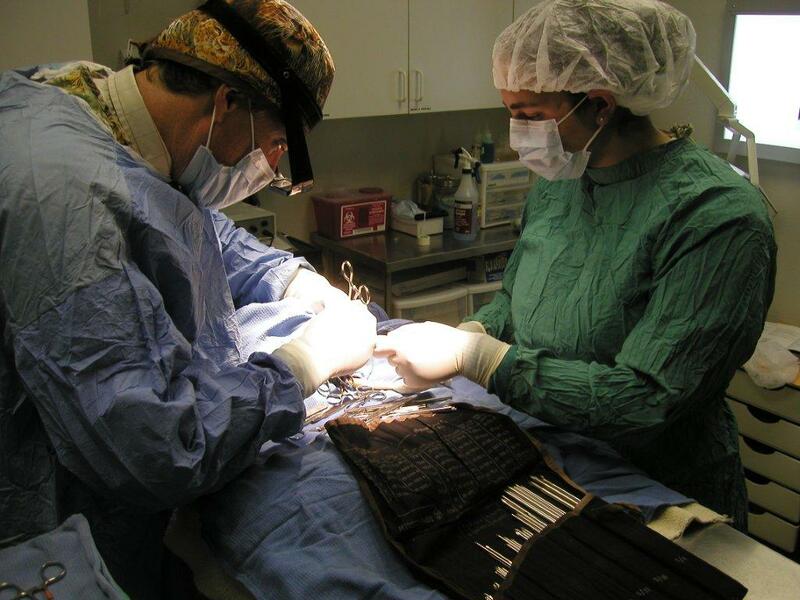 During rehabilitation, a team of veterinarians and nurses at Serrano Animal and Bird Hospital examine, diagnose, and treat injured raptors, performing treatments such as medication, X-rays, surgery, and physical therapy. Once the birds are ready for recovery, we move them to flight cages (mews) so they can regain skills necessary for surviving in the wild. The hospital staff and center members carefully evaluate the avian individuals for proper health, diet, and behavior before releasing them back into their natural habitats. In addition, weather and status of wild birds in the area are also analyzed. While at the center, young birds learn to hunt live food, honing their predatory and flying skills. Flying back and forth also strengthens their muscles and increases endurance prior to release. Photos courtesy of Serrano Animal and Bird Hospital.